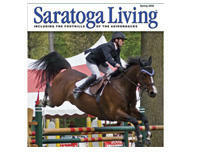 Saratoga Living Magazine is published six times a year—Holiday, Winter, Spring, Fall, Summer and Track—the six seasons of Saratoga. The magazine will begin its 18th year of publication in 2016. 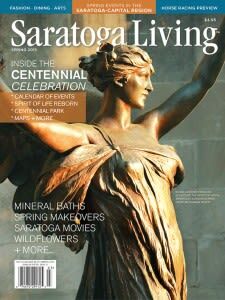 Locally owned, Saratoga Living has subscribers in 30 states, with some in Europe and Canada, and is sold on newsstands from New York City to the North Country, and from Buffalo to western Vermont and Massachusetts. 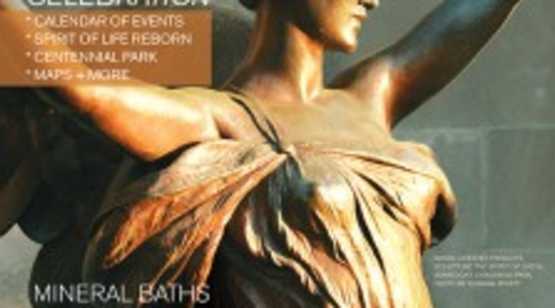 Our award-winning writers and photographers capture the history, arts, movers and shakers, fashion, lifestyle, horse culture and social scene of Saratoga and the greater Capital Region. Check out our website at www.saratogaliving.com.